The first couple of minutes of last Friday’s loss to LA Galaxy perfectly encapsulated how frustrating the first five games of the season have been. To start with, I was stuck outside the stadium – the first time I’ve ever missed kickoff when attending a match – because of the ridiculous lines caused by BC Place’s new security policies. Attempting to watch the match on a TV screen on the other side of the glass wall, I witnessed the incredibly distorted form of Ali Adnan whiff a penalty – a Panenka the likes of which Vancouver has never seen. I made it to my seat a few minutes later, in time to see Joaquín Ardaiz miss an open chance from just about the same spot. Those two failures to convert loomed large when all the good work the ‘Caps had done was washed away by the Galaxy dominating the second half and scoring twice. The biggest cheer of the night was reserved for a fan who ran onto the field in the 85th minute and got Zlatan to sign his shirt. It was quite a disappointing result, and any semblance of “momentum” the ‘Caps gained from scraping a point away from Seattle immediately dissipated. 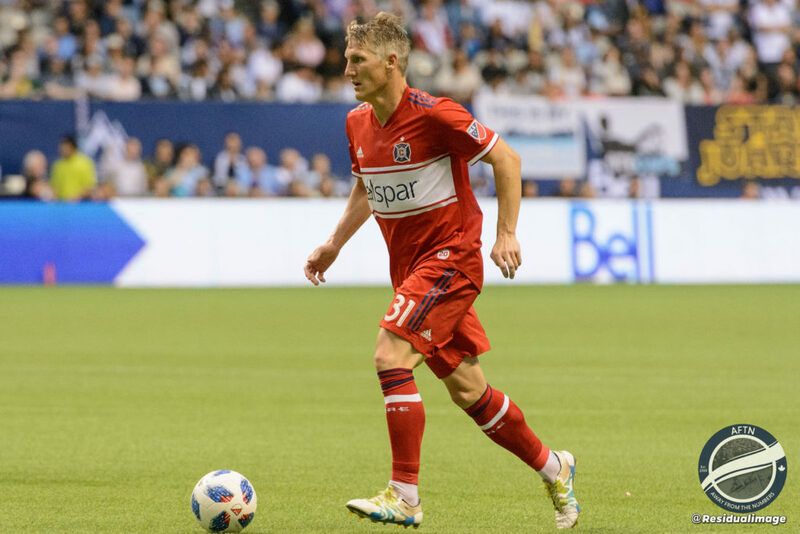 The team is now back on the road, after getting shutout in back-to-back home games, and will take on the Chicago Fire, who have been okay-but-not-great so far this season. The one thing that has remained constant through these first five games has been the system. Marc Dos Santos has stuck with his 4-3-3, and will more than likely roll it out again in Chicago. The main problem the ‘Caps have had – in my opinion – is the midfield: there has not been a game yet where they have controlled the middle of the park, and it feels like the midfield trio is constantly overrun or overpowered. Part of it is personnel: the ‘Caps don’t have a true ball-winner in the middle of the park (though Teibert tries his best), and it feels like there’s too much overlap between the players. Does it make sense to have both Jon Erice and Felipe on the field? Is In-beom Hwang going to be part of the midfield three or front three? If it’s the latter, who’s going to drive the play in the middle of the park, providing that essential link between the backline and the forwards? Also, there’s not much physical presence among the four players I’ve mentioned. Hwang is the biggest – listed at 5’10” – and he’s definitely not someone who plays a physical game. I’m not trying to sound like a stereotypical hockey fan, but I feel that the ‘Caps need some strength to, well, strengthen the middle of the park, especially if they’re going with only three players there. Andy Rose was supposed to be that change-of-pace, but his unfortunate injury means the ‘Caps are stuck without much in the way of further options. The other big problem is the fact that no one is scoring. The ‘Caps have only managed four goals in five games, tied with NYCFC for second-worst in MLS, ahead of only Atlanta (haha). Only one of those goals was from open play (courtesy of Lass Bangoura), and the ‘Caps have often looked devoid of coherent plans in the final third. Fredy Montero has had a very disappointing start, Yordy Reyna started on the bench in both of the last two matches, and despite promising flashes Ardaiz missed a glorious opportunity in each of the last two, with the potential-stoppage time winner against Seattle standing out even more now than it did two weeks ago. Ironically enough, the part of the team I was most concerned about heading into the season (the backline) was the most solid group during the brief two-game home stand. They weren’t perfect by any means, but they did their job for the most part, and not getting any goal support means their mistakes are going to stand out even more. The five-man group of Maxime Crépeau, Doneil Henry, Érik Godoy, Jake Nerwinski and Adnan started both games, and – barring perhaps Nerwinski – are safe bets to start again against the Fire. Looking at the hosts, Chicago are 1-2-2 on the season, with their lone win coming on opening day against the Galaxy. Since then they’ve lost to Seattle and NYRB and drawn Orlando and Toronto. They have not had much in the way of possession the last two matches (35% against NYRB and 28% against Toronto), so we’ll see how much of the ball the ‘Caps are able to grab. The Fire’s big addition this past offseason was forward CJ Sapong, who they acquired in a trade with Philadelphia. The move has payed dividends so far, as the 30-year-old has 3 goals and 1 assist in his first five games with the club. Nemanja Nikolić got his first goal of the season last weekend, and with 40 goals in 69 games in his MLS career, he is always someone to look out for. Veteran Bastian Schweinsteiger has been playing at centre back. If he continues there, his slowness with the ball could prove a boon to any fast paced Vancouver attack and that is something that has to be in their gameplan. 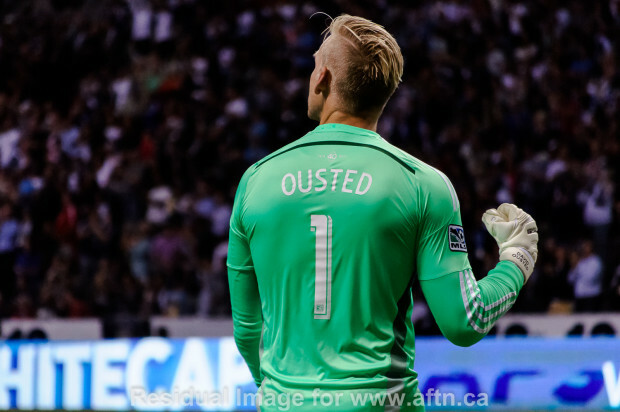 It’s not been an ideal start for the Whitecaps this season, and I don’t think anyone would dispute that. It’s still early though, with plenty of time to turn things around. Whether the ‘Caps will be able to do that is the question, and I guess this game is another step towards answering that.